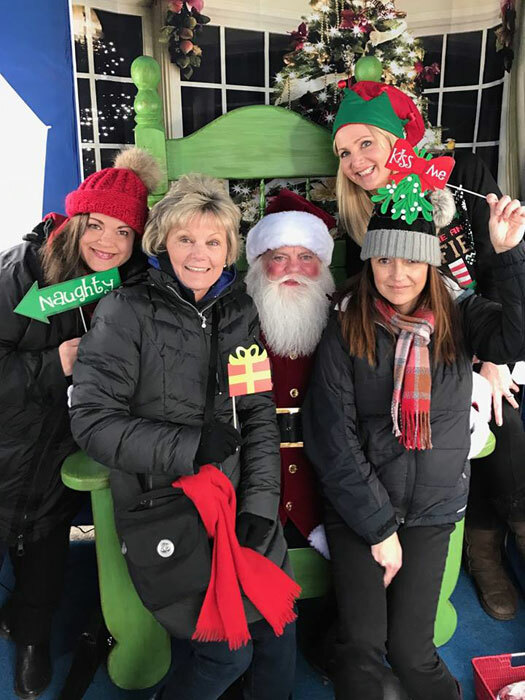 Photo courtesy of Windermere: From left, Susan Stasik, Jane Johnson, Santa Claus, Cheryl Jones (behind) and Shauna Dean take a pic during the 2016 Christmas Ships and Santa in Madison Park. An Argosy Cruises Christmas Ship near Madison Park Beach. The annual Christmas Ships and Santa celebration lands in Madison Park on Sunday, Dec. 16, courtesy of Argosy Cruises and Windermere Real Estate. 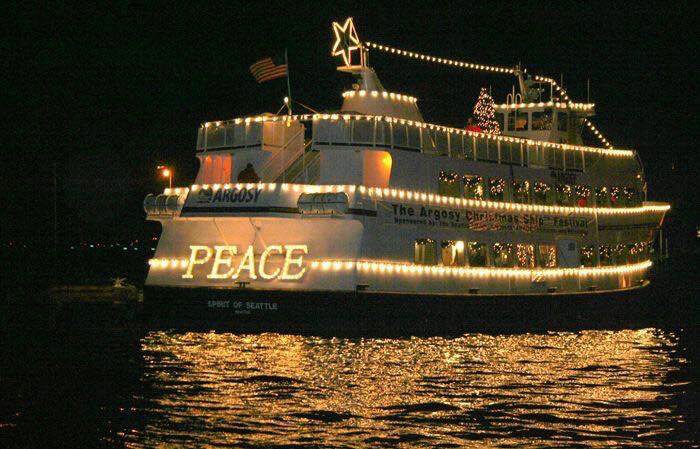 Argosy Cruises started its Christmas Ship Festival trips the day after Thanksgiving, and its holiday ship will bring its lights and carolers to Madison Park Beach at 8:35 p.m. Sunday, Dec. 16. “They just stop at Madison Park and play their lights and their music, and there are carolers on the ship,” said Cheryl Jones, office administrator and transaction coordinator with Windermere in Madison Park. The real estate office is organizing the neighborhood festivities that will coincide with the Argosy Christmas Ship’s arrival, including some time with Santa 6-8 p.m. at the Madison Park Bathhouse, 1898 43rd Ave. E. There will be a new Santa this year, the longtime St. Nick having relocated to California. Seattle Parks and Recreation will provide a small bonfire at Madison Park Beach, and Santa will join spectators there when the Christmas Ship arrives.